Weather: Very breezy and Cold. Dull Saturday, Bright (some Sun) on Sunday. 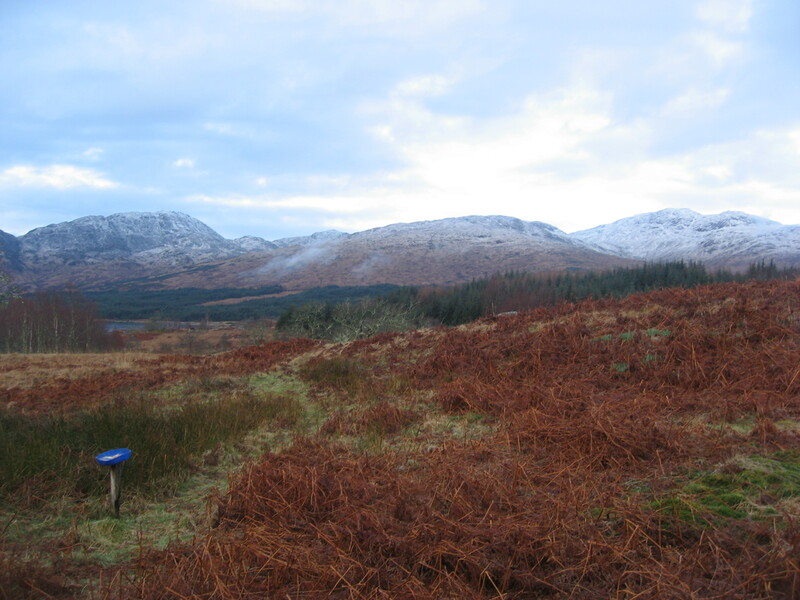 Rain and Snow overnight. 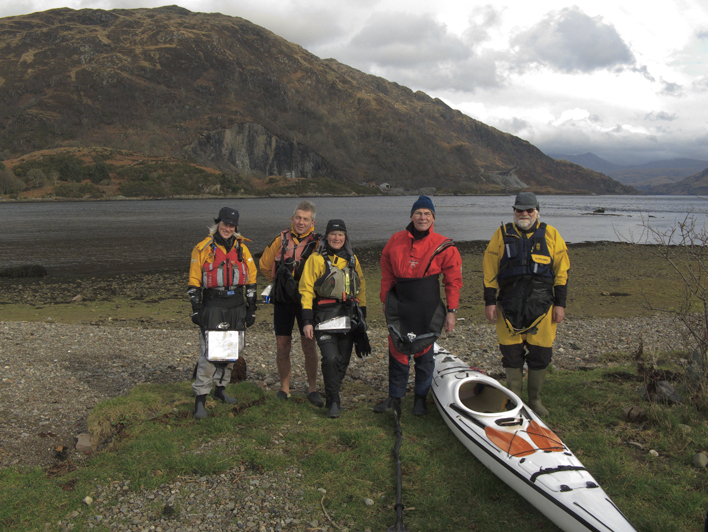 Saturday: We met John Campbell at Taynuilt Pier to collect Bothy key shortly after 10.30. 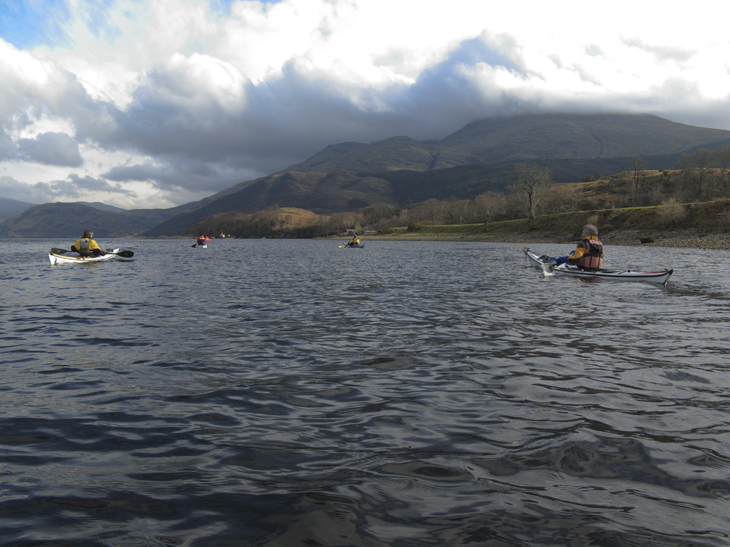 Paddled up East of Loch making excellent progress in strong southerly breeze. 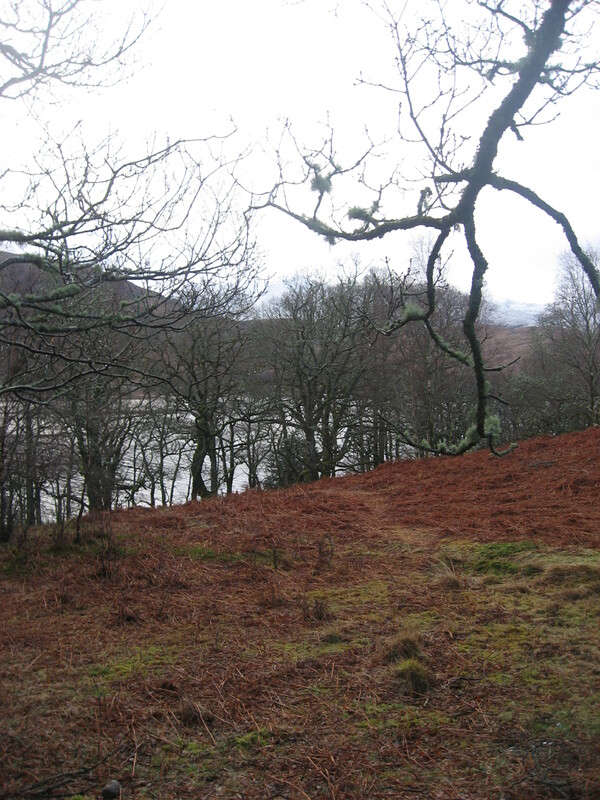 Our original intention was to explore rivers but that was thwarted by sandbanks. 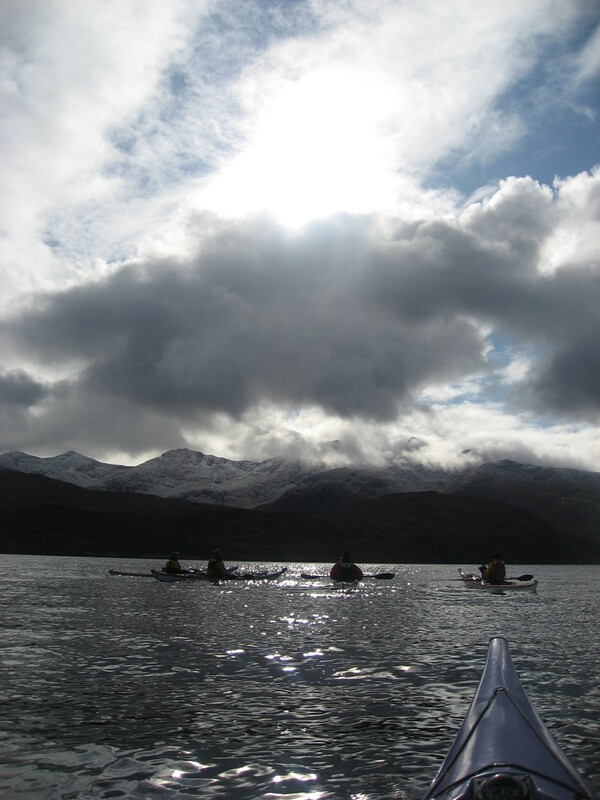 As day progressed squalls developed and loch turned white. 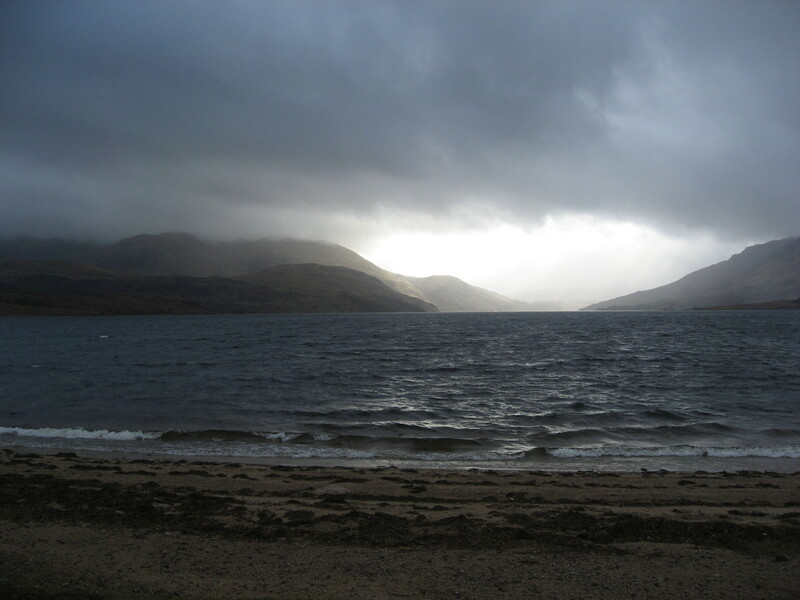 One was so strong that it lifted and drove the spume along the loch. Wind speed well in excess of 30mph but too busy to calculate! Any of us could have had a cold bath. After that the next time we heard the roar of the next squall we rafted up. 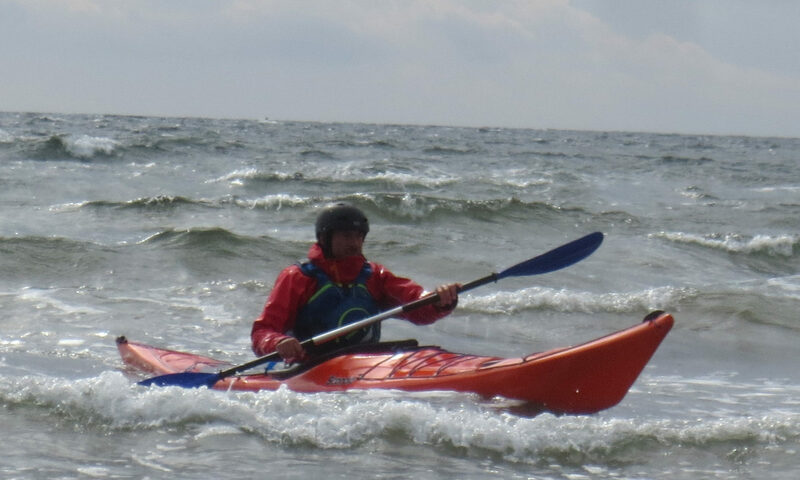 Eventually made a surf landing at Barrs just after 2pm. 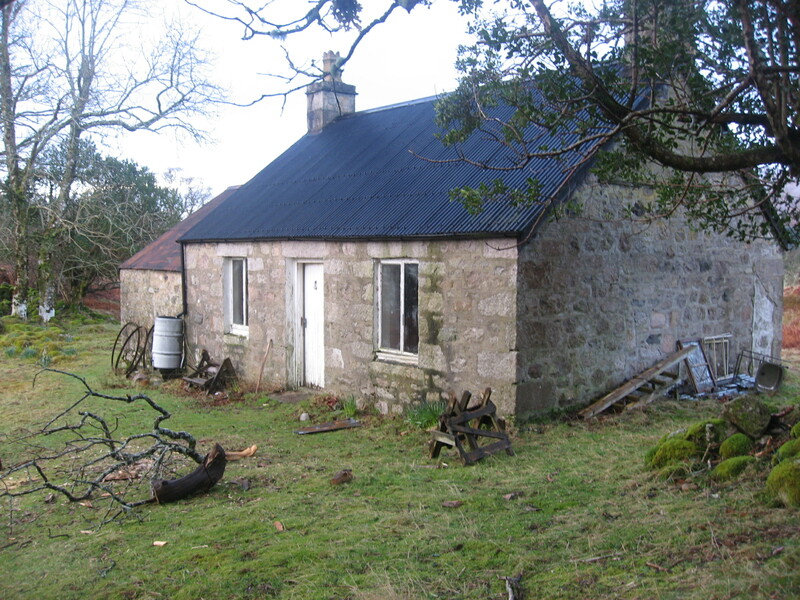 The Barrs Bothy is owned by Argyll Scouts and is almost completely hidden. It provided excellent shelter on a wet and windy evening. 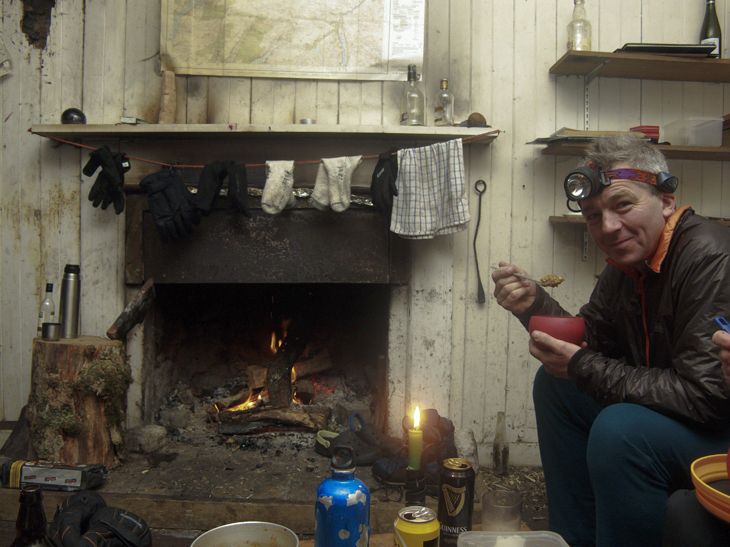 After trailing the gear up to the bothy and lighting a reluctant fire, there followed a good walk till dusk, a good meal and an evening of excellent conversation and libation (whisky and drambuie, whisky and honey, cointreu, whisky and whisky). Sleep followed (and apparently some snoring but I never heard any). Morning broke bright with snow on the hills. 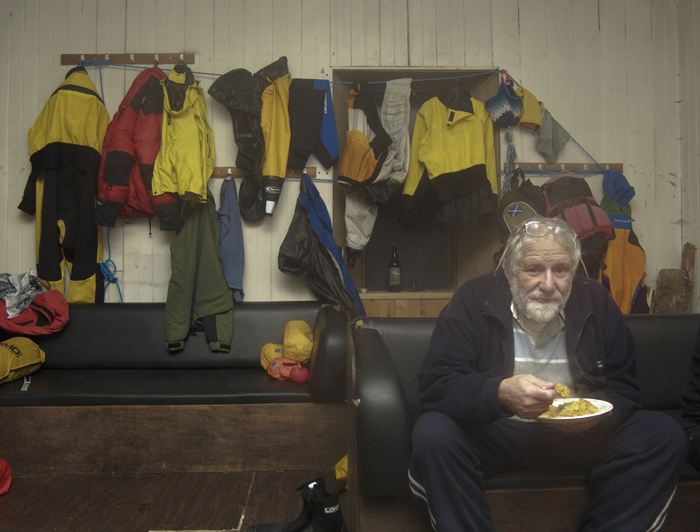 A leisurely breakfast, clean up and wood store replenishment led to a lateish departure heading south. 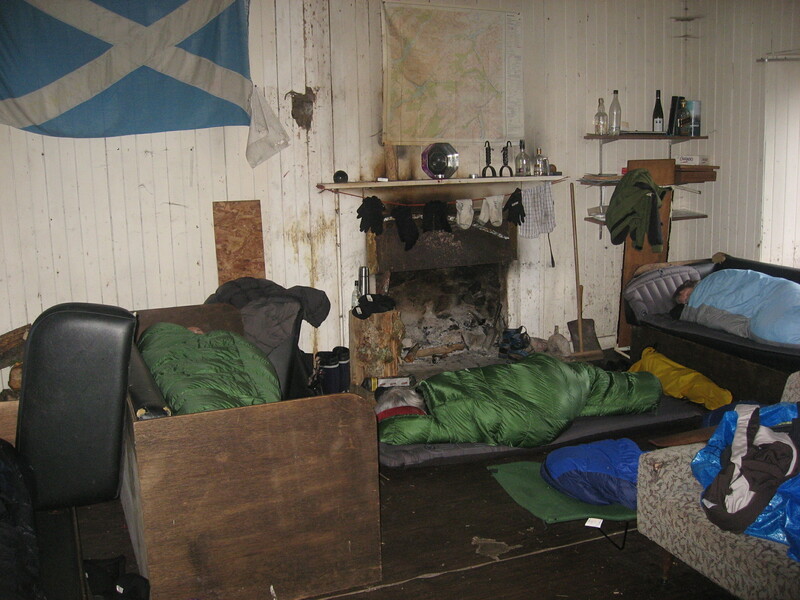 We had a brief stop to inspect the MBA bothy (excellent) which was occupied by 3 youngsters cooking breakfast over the open fire. A stiff southerly breeze slowed progress but periodically the sun emerged and all was well in the world. We arrived back for lunch just after 2pm. 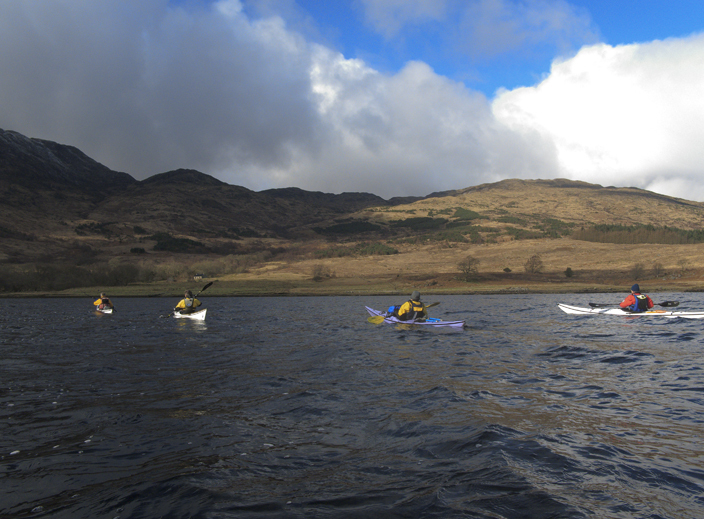 The loch is one of the wildest and most beautiful areas of Scotland and a wonderful paddle on a breezy winters weekend. 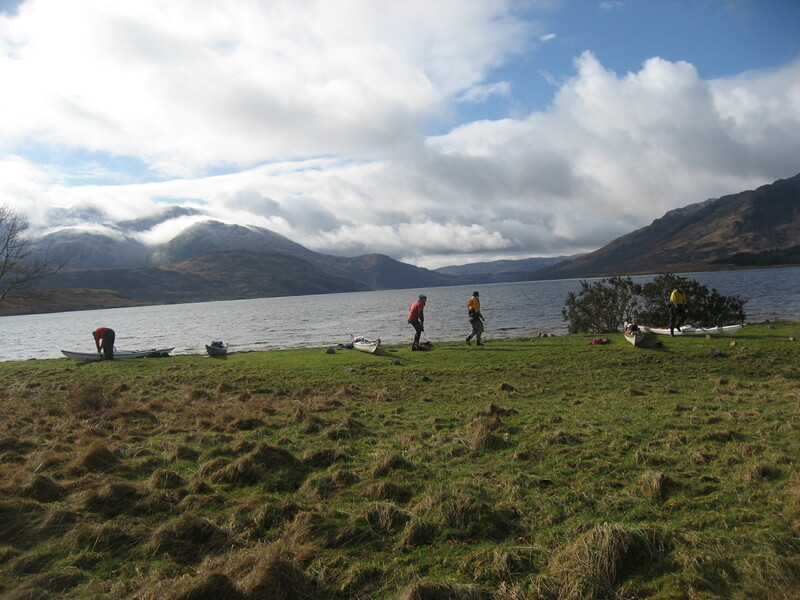 Barrs proved an excellent refuge and the beach is an excellent camp site in summer. Thoroughly recommend the trip.